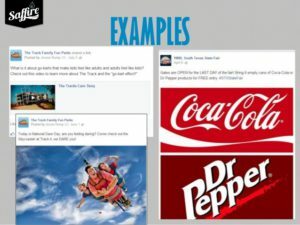 Marketing on Facebook: How it changed? Technologies are upgrading really fast. Sometimes we can`t even fixate one change when another one comes in. To be honest, it`s good when you get new possibilities, especially for social media. You see new functions and think about all possible ways of using them. However, people use Facebook not only for chatting or reading posts. Persons who are using this platform for marketing know that if there are any changes that could help them, they will use it. Easy? Of course! However, Facebook marketing isn`t simple, and we need to look through all basic changes and analyze them. Some social media users have probably heard about stories earlier, on Instagram. These stories give you an ability to record short videos (only 15 seconds) or make photos on your smartphone and post it immediately. Moreover, you are able to add some filters to your materials to make them look better. Every single story is available for users during 24 hours. With time, these stories came to Facebook in the same form – videos or photos with special effects in the platform. However, developers didn`t want to stop at this point. They created different applications for these stories. For stories, Carl! With it`s help you are able to mix your videos and photos, create a collage or something like that. 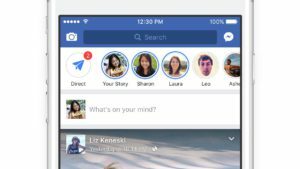 How to use Facebook stories in marketing? It`s good, but very simple question. Let`s imagine that you have a group for your business (for example, food delivery). You can record videos about sorts of food that are available at your shop, make announcements about sales or giveaways or even for advertisements from other companies (by the way, it`s also the source of income). It`s much easier for people to watch stories from your business account (if needed, you can add text there) than go on the main page and read huge text. You can save your time and create many stories about different things, but the result will be the same. Another good thing is that you can get feedback from the customers. How? They can write answers to your stories showing their own opinion about your work. Each story has extra statistic about itself: the number of persons who watched it and the number of “skips” (when person didn`t watch the full video and turned the page to another story). Statistic is also important if you pay attention to marketing on Facebook. This platform suddenly appears into the net and gives everyone an opportunity to make live broadcast from every point on the planet Earth where you have access to the Internet. How can we combine live streaming and marketing? Easy! For example, you can use it for promotion of your services. These could be a long video (much longer than Facebook story). With the number of extra settings, you are able to create informative and well-designed video that will have thousands of viewers, likes and comments. Your audience will know that you can use different ways of communication with them. 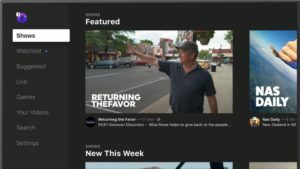 On August 30, 2018 all Facebook users got their access to the platform called Facebook Watch. In fact, the bigger part of content on this service contains advertisements from TV channels and companies, which have young audience from 18 to 37 years old. The main recommendation from Facebook is to publish long and thematical videos or live broadcasts from the events. I think that we can adapt this platform for our Facebook marketing. How can we do it? The algorithm is simple: you create a video about you and your business to attract customers. You can talk about your services (what customers can do, how should they use these services, what is the price, how to purchase it etc.). there are no limits for you, and you can record two or three parts of your monolog. Someone said that it looks similar to Twitch, but Twitch is more attractive, while Facebook Watch is adapted for business, what is good for us! 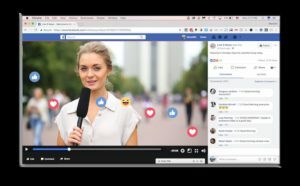 Facebook Watch could work on browsers like Google Chrome, Firefox or Opera. Another good option, which is available for users – they can show their reaction during the video. But wait, why it`s good only for users? If developers see that people enjoy the stuff he is doing, it`s great! Every person will see recommendations from Facebook Watch in his/her newsfeed every day. The recommendations will depend on the user`s interests, so people who are interested in the same sphere as you will see your videos. Even if you didn`t hear about such thing, you should try it. Maybe, you will enjoy it. Pay to play is one of the coolest ways to grow your business and it is more profitable than advertising campaigns or promotion out of the social media. How to work with Pay to Play? First, you should pick up an advertising object. To drive more traffic to your business page on Facebook, you need to choose Traffic. Second, choose the audience location. Don`t go too far, later you will be able to change settings. Third, choose the audience specific. It could be a current group of people or persons of one age. Final step is to create an advertisement image that will appear on customer`s newsfeed every time they see your Pay to Play campaign. The easiest way to create an image is to use Google Drawing. The final product will be beautiful and simple. To start working with this feature you just need to publish it on the newsfeed and it will start working. However, remember – this is the simplest way to create Pay to Play. If you want to go further and get better result, you should learn more about it. To sum up all that was said before, we can say Facebook platform had many changes. Of course, a bigger part of it was to attract users, make them use Facebook again and again. However, Facebook marketing also get it`s bonuses from these changes. We showed you how to adapt resent changes to your business and how to get positive result from it. Hope you`ll use our recommendation while working. Good luck!